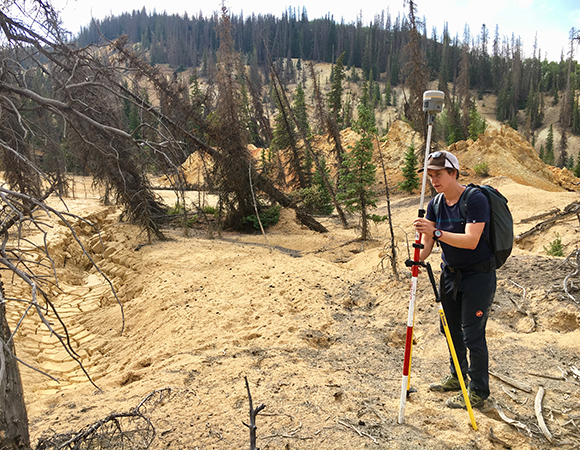 Slumgullion landslide, in southwest Colorado near Lake City, is an ideal outdoor laboratory for comparing a variety of techniques used to measure slope displacements and understand landslide kinematics. 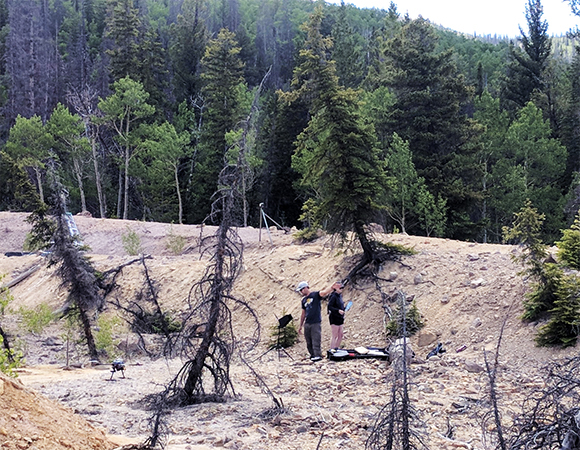 The “slow” landslide is nearly constantly active, with surface displacements of several centimeters per day measured on some areas of the slide surface. The goal of this work is to compare results from a terrestrial radar interferometer (TRI) to those from structure from motion (SfM) photogrammetry techniques using imagery acquired with small unoccupied aerial systems (sUAS). 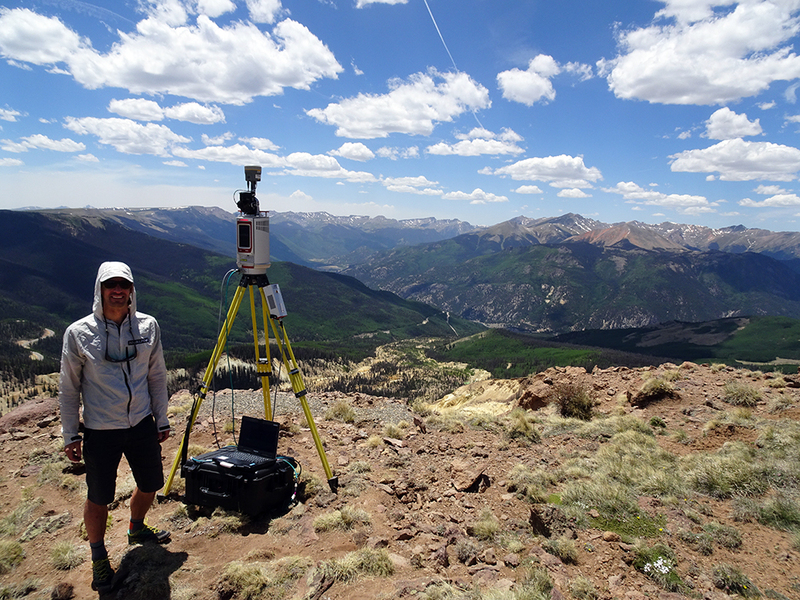 The TRI measurements will also be compared with data collected with UNAVCO’s Riegl VZ-6000 terrestrial laser scanner. 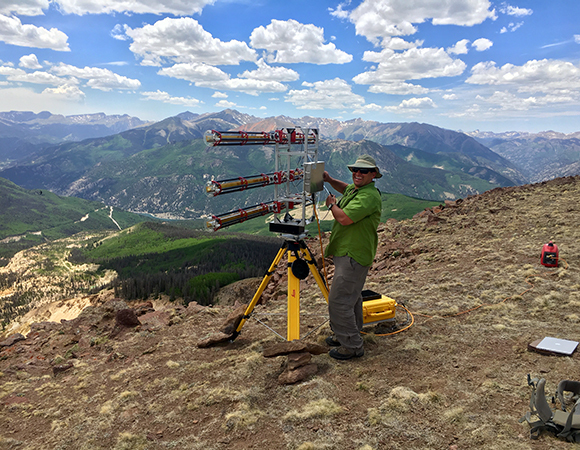 Data from real-time strainmeters are available to provide independent in-situ measurements of flow. 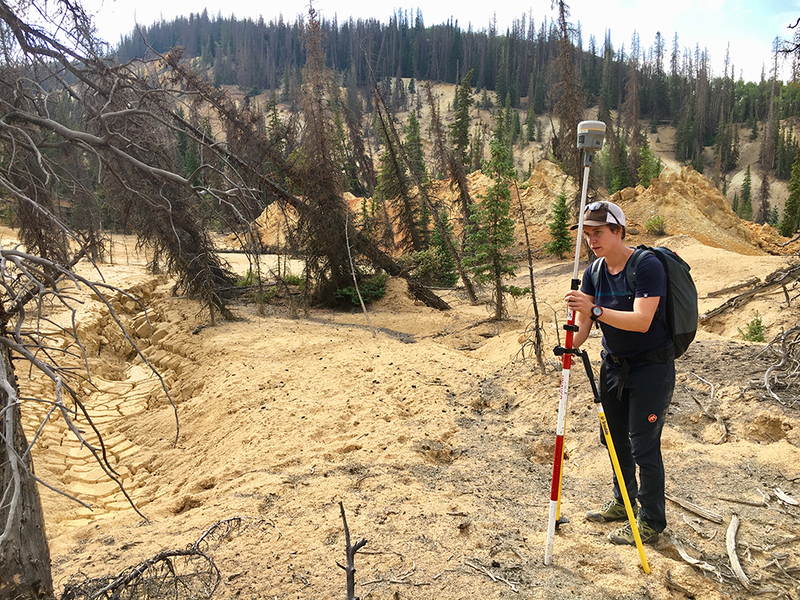 Unrelated to this project, UNAVCO acquired SfM data over Slumgullion in summer of 2017. 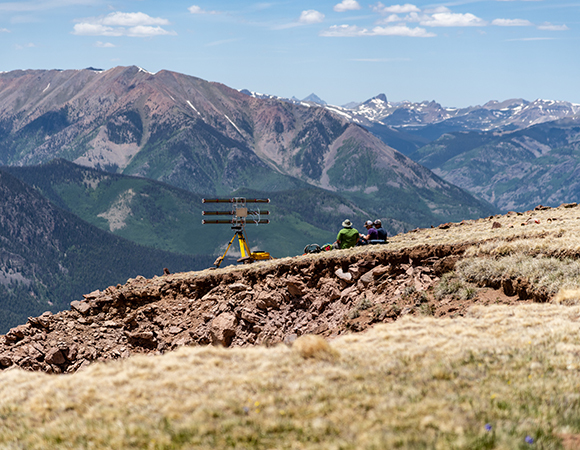 These data will be used with the 2018 SfM data to evaluate the effect of different camera platforms on the final results. 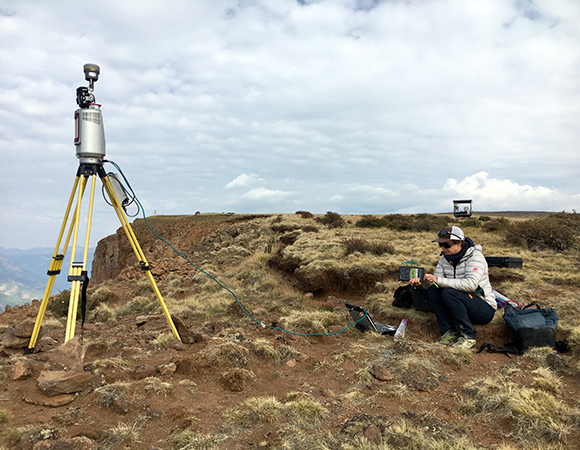 The integration of several geodetic imaging techniques at Slumgullion will allow researchers to design a strategy that could be applied to operational slope monitoring projects. Concurrent but disparate data sets from different technologies will allow for evaluation of data on their individual merits. 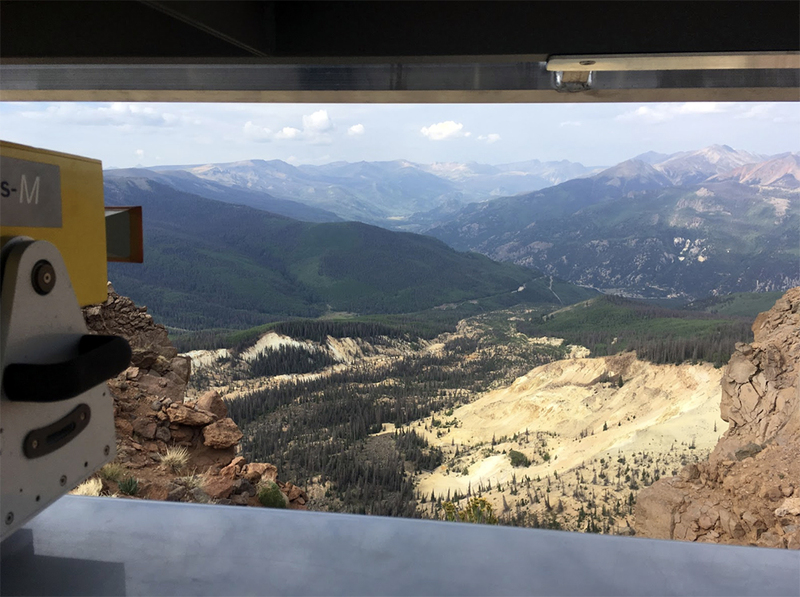 Ultimately, this research could benefit public infrastructure agencies responsible for landslide hazard mitigation such as the Colorado Department of Transportation. 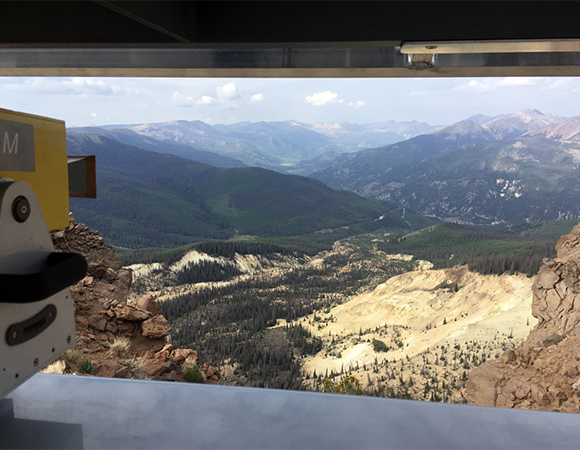 The success of this project was due to coordination between many collaborators. 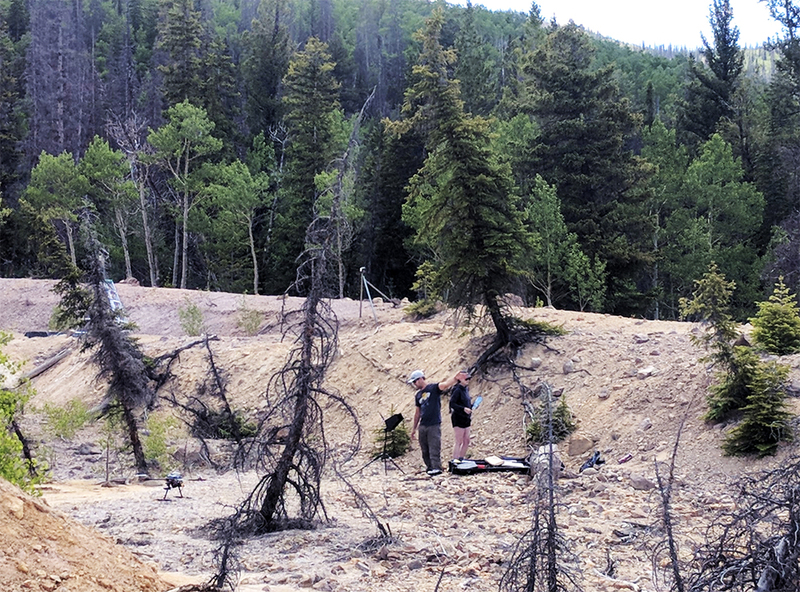 Site access was granted by the U.S. Forest Service under a special use permit. 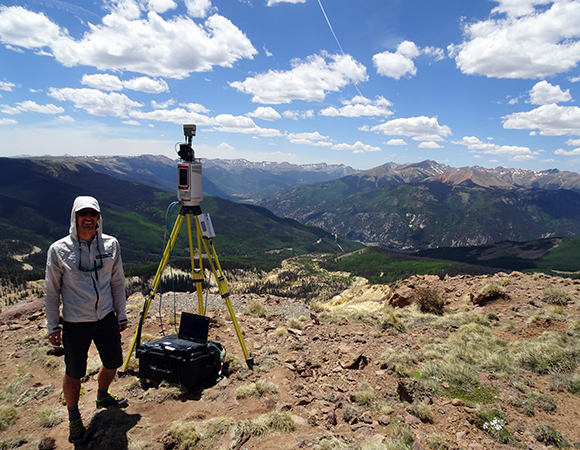 Industry partners from IDS GeoRadar provided data and field support. 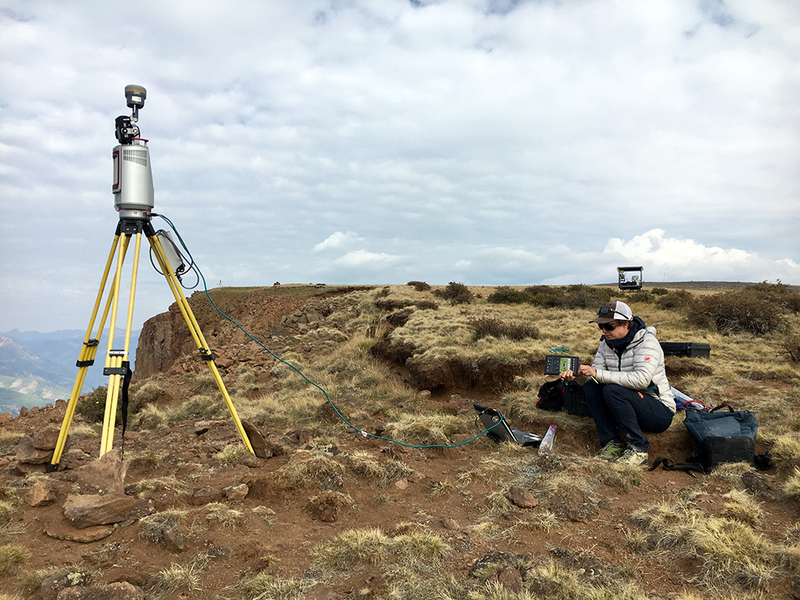 UNAVCO supported this work with terrestrial laser scanning, GNSS survey equipment, and field engineering support. Field work at this high altitude (~12,000 ft ASL) research site provided challenging conditions for the field team including exposure to cold temperatures, rain, lightning and steep terrain. 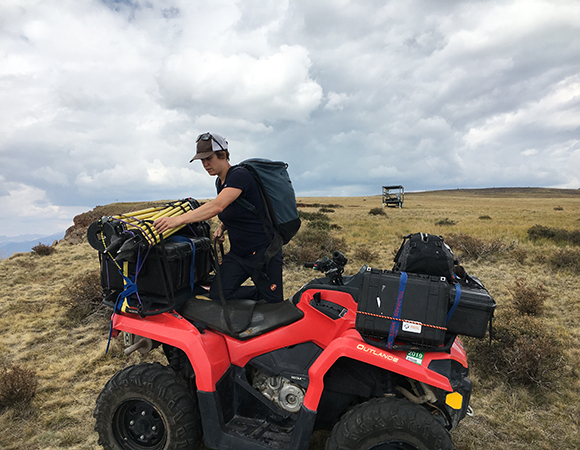 The field team used a rough and narrow OHV trail to access the site and special rigging was needed to transport the large radar, and lidar equipment to the site. 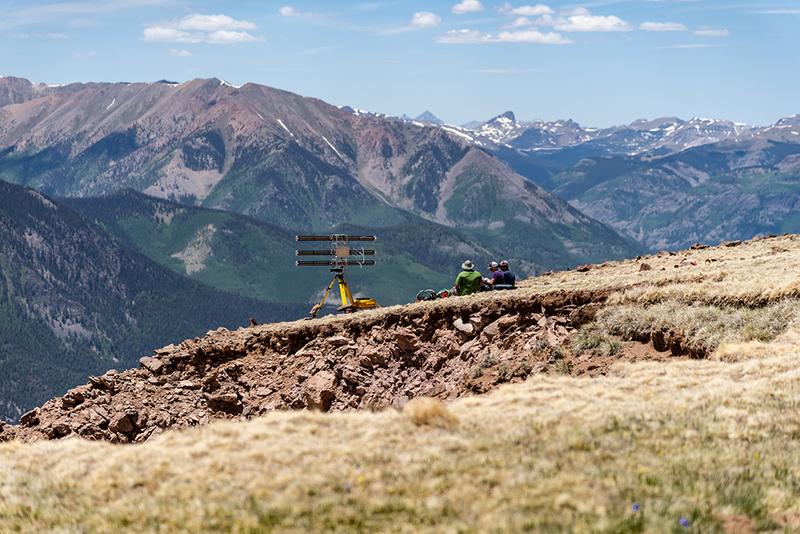 Concurrent UAS surveys required coordination with teams at different locations on the slide surface and installation of an extensive ground control network.